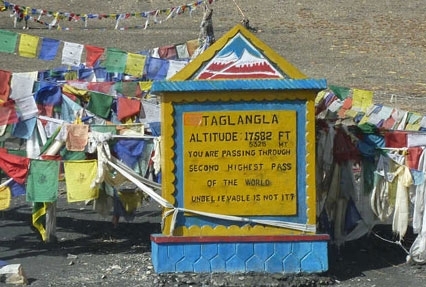 The Trans Himalayan Safari tour gives you the opportunity to travel to the most remote places in the Himalayan region. 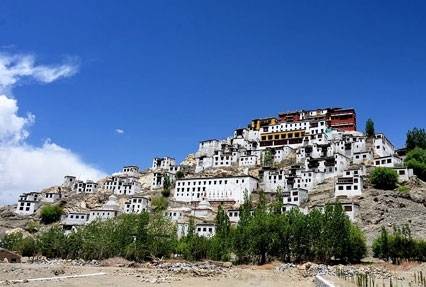 The tour will take you across the breathtaking beautiful Leh and Nubra valley, mighty Sutlej river banks and that not all visit some of the most historic monasteries as well. 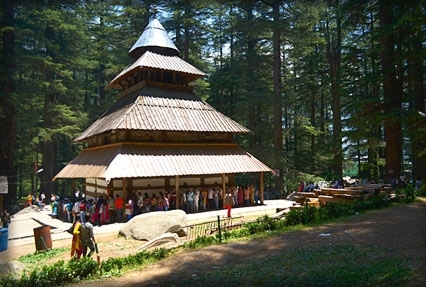 While on the tour pay a visit to the Hadimba Temple, Jagat Sukh Vashisht Bath, at Manali. 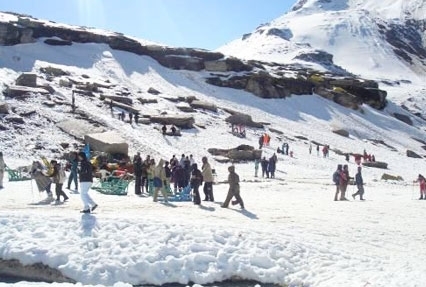 Enjoy full day excursion to Rohtang pass for a perfect snow-capped mountain experience that is to be remembered for a lifetime. After arrival, meet our representative at the airport who’ll arrange transfer to Hotel. Check-in at the hotel. Spend day at leisure. Enjoy dinner and overnight stay at hotel. In the morning after breakfast, set out for local sight covering places like Hadimba Temple, Jagat Sukh Vashisht Bath etc. Enjoy dinner and overnight stay at the hotel. Start early in the morning, drive straight to Jispa via Rohtang pass for a perfect snow-capped mountain experience. Enjoy dinner and overnight stay at the hotel at Jispa. Post breakfast, head towards Baralacha-la finally reaching Sarchu. Enjoy the magnificent landscape on the way. Enjoy an overnight stay in tents at Sarchu. The 6th day of the trip is reserved for a full day excursion to Himalayan Safari Drive. On the way cross Tanglang-la the second highest road in the world and Lachlang-La. Relish dinner at hotel. A night to be spent in the hotel. Start the day with a visit to Thiksey Monastery. 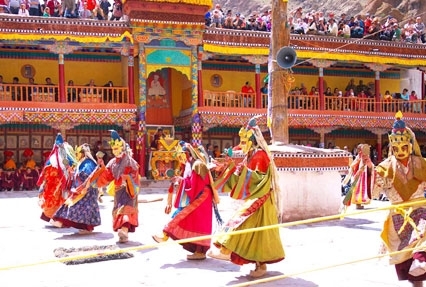 Get a chance to attend the praying ceremony taking place at the monastery. Also visit "Hemis" one of the biggest monastery of Leh and Shey Palace. Later in the afternoon leave for a guided tour to visit Leh Mosque, Leh Gompa, the King’s Palace and Shankar Gompa. Retire for a night in the hotel. In the morning start for Khardung La Top, the World highest motorable road. On the way get delighted to see the fascinating view of the Leh and Nubra valley along the roadside. Return to the hotel by afternoon. Evening to be spent at leisure. Night at hotel. Post breakfast leave for Leh Airport for boarding flight towards delhi.